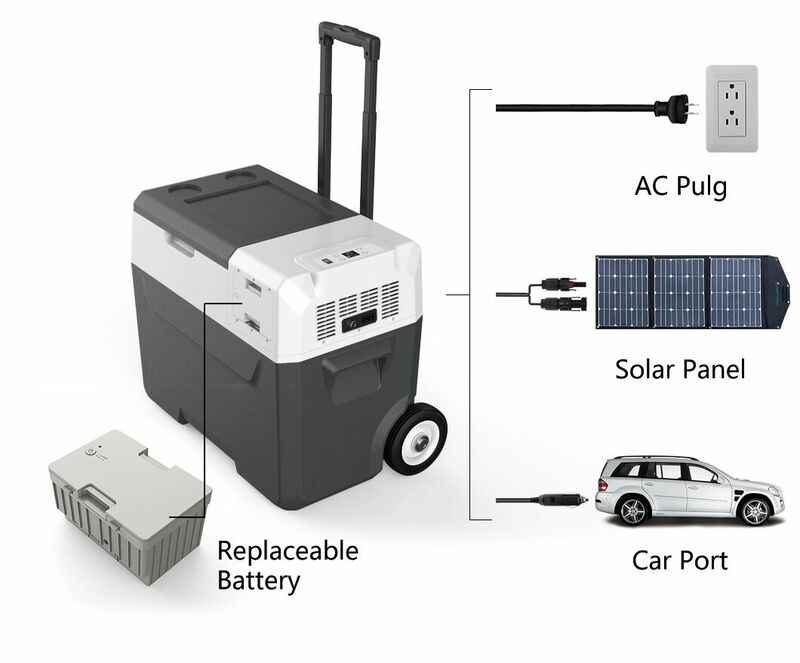 Solar-powered portable cooler offers innumerable benefits over traditional ice coolers. They don’t require ice (that means no more soggy food), they truly operate off the grid. Before the lithium-ion revolution, solar-powered coolers used heavy lead-acid batteries, which tended to deteriorate, especially in hot climates and the batteries had to be replaced approximately every three years. The batteries were disposed of as hazardous waste, if not, they resulted in lead pollution. 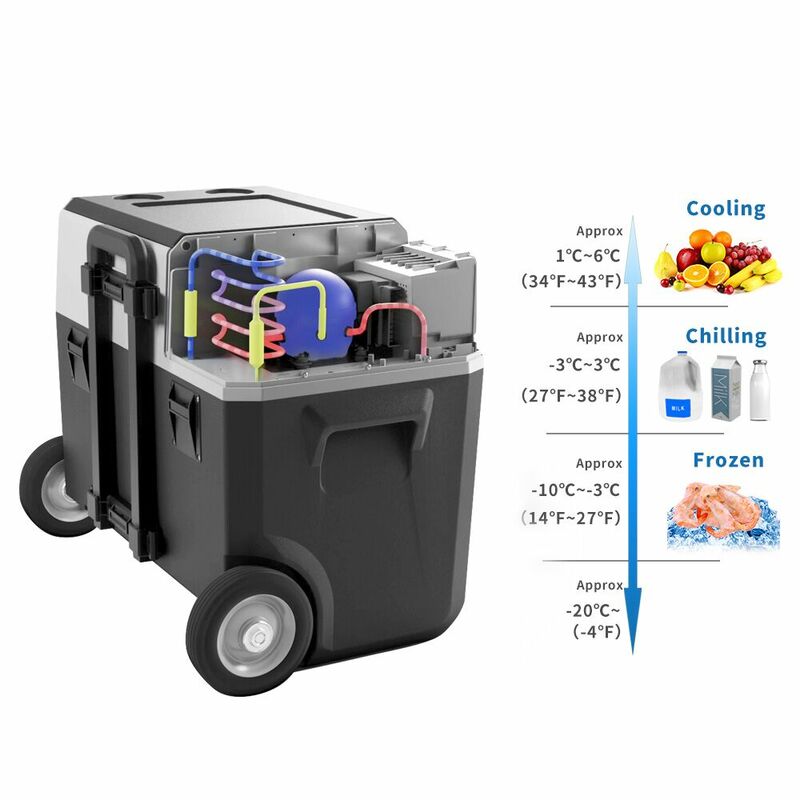 The outdoor portable cooling market has seen a huge boom with the arrival of many heavily insulated traditional ice-coolers. 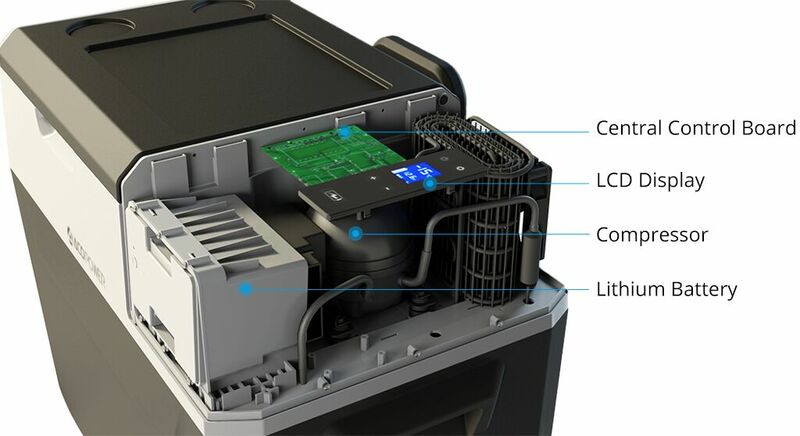 The technology startup ACOPower now launches its flagship sub-brand LiONCooler, a solar-powered first smart controlled portable fridge-freezer, after spending 3 years in designing and testing at the head office in Los Angeles. ACOPower designs and supplies innovative Smart consumer electronics solutions in power storage-generation-portable appliances on a global scale from its California warehouse. With the launch of the LiONCooler, ACOPower commenced an outreach program to work with suitable global retail and distribution partners. LiONCooler chills to -4°F and is equipped with quality LG compressors to ensure performance. It uses an advanced battery technology that takes 4-6 hours to fully charge whether using AC/DC/Solar. Charging cables are supplied for AC/DC/Solar recharge options. Any solar panel can be used to recharge the battery using the MC4 universal connector provided. The easy ‘snap-in/out’ battery has a 10-year life to keep the chill. The battery only depletes when you use LiONCooler in portable mode. If you are connected to a power source, the battery will stay fully charged. The LiONCooler can be remotely operated using the iOS/Android Bluetooth App that pairs with the product to make control even more convenient. 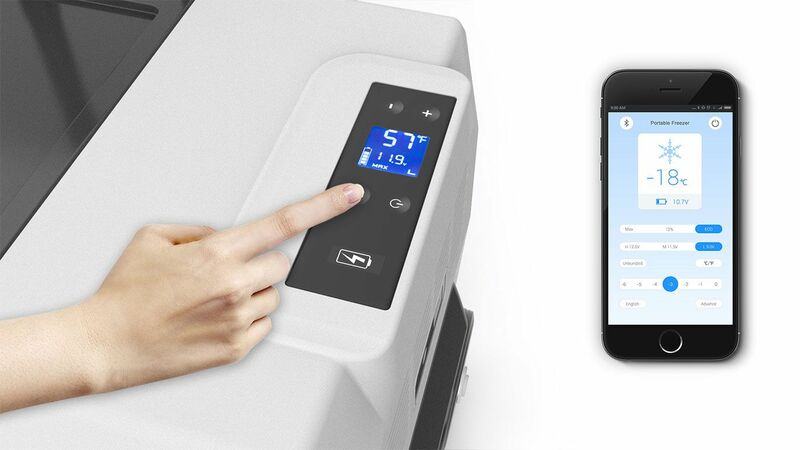 If the temperature outside changes, you can adjust the cooler’s temperature using the digital LCD display or remotely with the free Bluetooth App available for iOS or Android. Watch the following promotional video of LiONCooler. 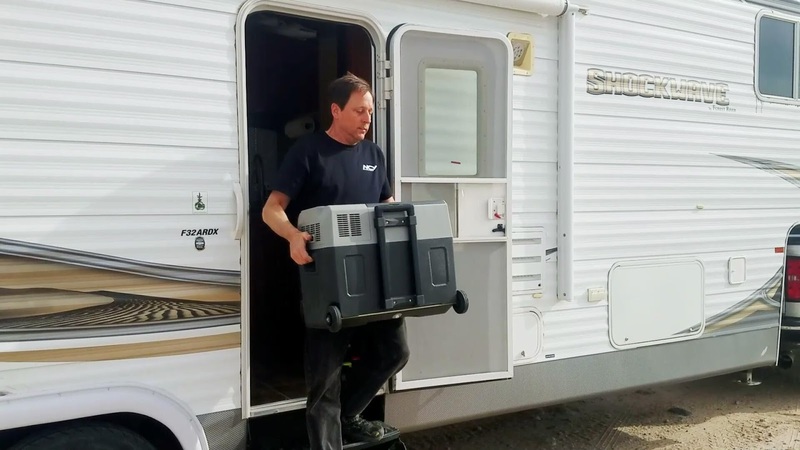 The solar-powered cooler keeps food and beverages icy-cold without icy and works like your home refrigerator while enjoying at camping to remote locations thanks to the luggage-style design makes it easy to move without having to lift. The Tech Cooling can be digitally controlled on the unit or using the Smart App across temperatures as low as -4f (-20C) giving "true freezing". Capacity ranges from 15-52 quarts. The price is clearly the good bargain at $539, or about €480, on Kickstarter. In addition, although all charging cables are included in the price, the mobile, foldable solar panel costs an additional $199 (about €177). If the Kickstarter campaign is successfully funded, it is expected that it will ship worldwide in time for the summer of June 2019.